The Israeli, Vancouver-based vocalist-songwriter likes to blend elements from jazz and contemporary music, Middle-Eastern scales and rhythms, and Jewish music and poetic texts, to create a highly original and rich language of her own. Her two recent releases highlight other sides in her art. First as a composer of a cycle of pieces inspired by the Jewish mourning ritual, and as an improviser in the all-female vocal quartet Mycale, performing its own arrangements of John Zorn compositions. Shiva’a is a cycle of composed seven instrumental pieces, one song and two improvised pieces written for the string quartet ETHEL, percussionist Satoshi Takeishi, Gottlieb herself, and guest musicians - Israeli pianist and long-time musical partner of Gottlieb, Anat Fort, and double bass player Sean Conly. Gottlieb began to work on the cycle of Shiva's (Seven in Hebrew) in 2007, following the death of three close friends, while moving between Wellington, New Zealand, New York and Jerusalem, Israel. It mirrors musically the Jewish week-long ritual that follows the death of a loved one, when the family gathers to mourn while friends provide constant company and comfort. The instrumental pieces reflect the contradictory feelings and emotions throughout the mourning process, moving between the crying and sadness, represented by the Klezmer-tinged violin playing of Jennifer Choi, best captured on "She’ela/Question"; the ceremonial religious aspects of the week-long Shiva’a, stressed by Takeishi resourceful playing that incorporate elements from Japanese Buddhist rituals, especially on “Geshem/Rain”; painful meditations about the fragility of life and solitude, challenging the most inner beliefs, but eventually finding the anchors one has in life. These pieces distill the emotional passages of accepting death, concluded with the quiet, disturbing realization of the the transience of life in “Dmama Daka/Thin Silence”. 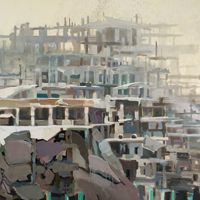 Gottlieb chose to rearrange for this cycle the poem of Israeli poet Yehuda Amichai, “An Old Toolshed”, which she composed for her album Roadsides (Arogole Music, 2014). The new, stripped-down arrangement with Gottlieb emotionally reserved delivery emphasizes Amichיi matter-of-fact imagery of a whole life that are now gone to “an old toolshed”. The peaceful wordless pieces with Fort, “PM” and “Ties” (with Conly), serve as comforting coda to this impressive album. 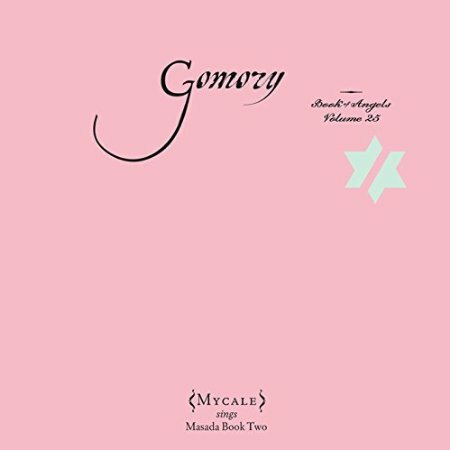 Mycale is an a-cappella vocal quartet featuring Gottlieb, Argentinian Sofia Rei, Moroccan Malika Zarra and Portuguese Sara Serpa (who replaces Basya Schechter), performing its own arrangements to John Zorn’s Masada Book Two: Book of Angels. Gomory is the sophomore album of this quartet, following its self-titled debut from 2010. As on many Zorn-related projects, the all-encompassing concept of this seemingly endless book of compositions affects any interpretation of it. It leaves mixed impressions of repeated ideas, heard and developed before already several times in a much more adventurous, expansive, even outrageous manner by other artists and outfits of Zorn’s musical sphere as guitarist Marc Ribot, Secret Chiefs 3 or Abraxas. Still, Mycale succeeded to empty these lyrical compositions from its sweet-optimistic nature and to charge it with poetic, untimely delivery.